And reach educated, affluent and socially active audiences throughout Worcester County, exactly the demographic you are trying to reach. With 11 months of exposure during our series of 17 concerts and events, your ad will be seen by thousands of patrons! Our program books are distributed in the towns of Harvard, Fitchburg, and Worcester. 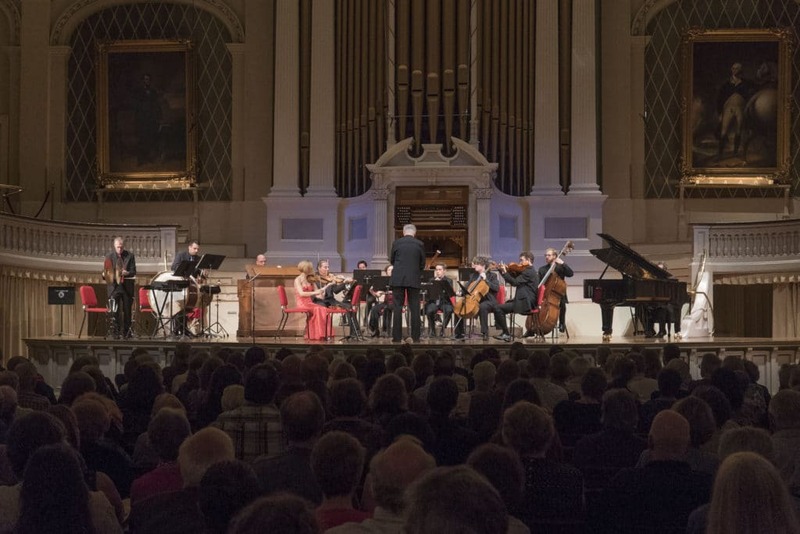 Season 2018-2019 venues include Mechanics Hall, Fitchburg Art Museum, Arts Worcester, Curtis Hall (Assumption College), Shapiro Hall, Worcester Historical Museum and Harvard Unitarian Church. MAIN CONCERT SERIES: Attracting audiences in the 30-80 age range. CAFÉ SERIES: Selling out for the last 4 years! FREE FAMILY CONCERT: Sold out last year, attracting parents, grandparents and young families SENIOR OUTREACH CONCERT: Attended by seniors throughout Worcester County.